This is a very impressive new CD release by the 4-time Grammy Award winner & country singer-songwriter Lyle Lovett. 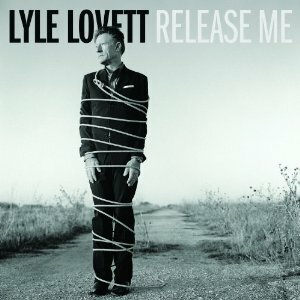 The CD, titled ‘Release Me’, features Lyle Lovett on a roll delivering a well balanced excursion/mixture of (1) country music in tracks : “Release Me”, “Brown Eyed Handsome Man” & “Keep It Clean”; (2) bluesy tracks in “White Boy Lost In The Blues”, “White Freightliner Blues” & “The Girl With The Holiday Smile” & (3) folk/americana/pop tracks in “Garfield’s Blackberry Blossom” (Irish influenced up-tempo instrumental track), “Baby, It’s Cold Outside”, “Isn’t That So”, “Understand You”, “One Way Gal”, “Dress Of Laces”, “Night’s Lullaby” & “Keep Us Steadfast”. Stand-outs/gems/solid tracks are “Release Me”, title track with great violin & vocals; “Isn’t That So”, which has wonderful melody; “Understand You”, has great guitar finger pick-ups & melody; “Dress Of Laces” & my favourite track from this album “Night’s Lullaby”. On overall, I’m bowled over by Lyle Lovett’s latest offering ‘Release Me’, a well rounded CD release, highly recommended CD listening & a well deserved 5 star performance!